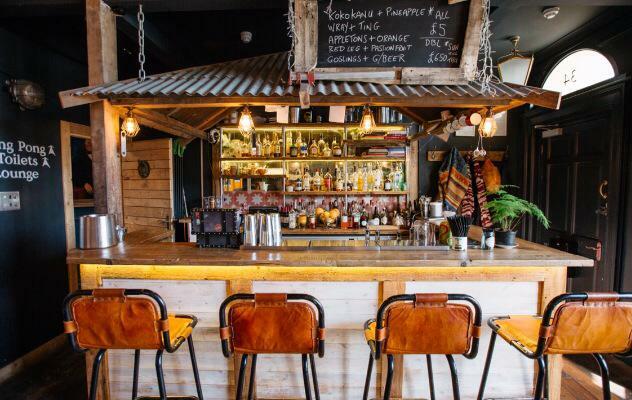 Here is the Restaurants Brighton guide to Cocktail Bars Brighton. There really is something for everyone in Brighton, whether you’re a wine connoisseur, craft ale aficionado or party-loving cocktail fiend. You can enjoy a smoking tipple at The Grand or a cocktail inspired by historic recipes at Bar Fifty-Five. Step into seafront decadence at the Metropole Bar & Terrace or into the prohibition era at L’Atelier Du Vin. 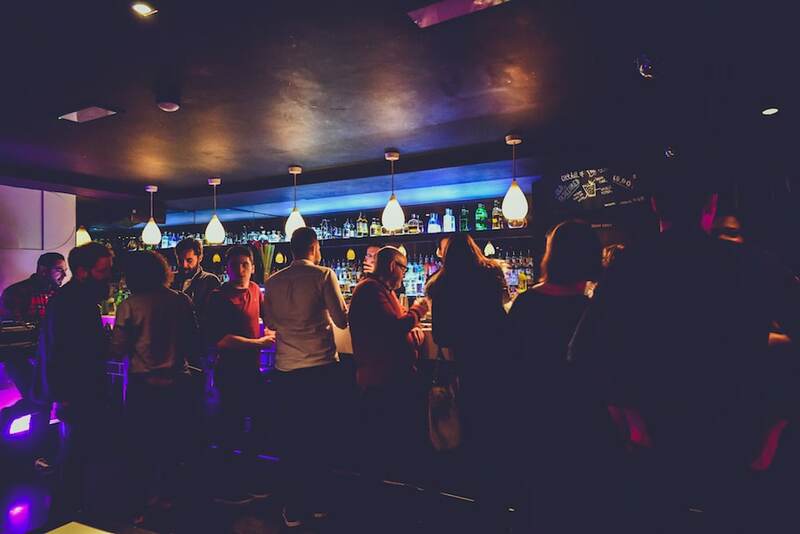 Take advantage of countless happy hours around the city and enjoy the buzzing bohemian Brighton vibe. Or, if you really want to push the boat out, why not try a cocktail masterclass or hone your vinicultural taste buds at different wine tasting events. Indulge in the opulence of The Metropole Bar & Terrace at Hilton Metropole. With views over Brighton’s promenade and interiors that have retained their original grandeur whilst receiving a thoroughly sympathetic modernisation, this is a perfect place to drink decadently. A good setting is nothing without quality service and here again, the high standards of the Hilton Metropole excel. The cocktail range is wide and like the decor seamlessly mixes classic with modern, naturally there are excellent wines and champagnes and for those wishing to really spoil themselves (or a friend) afternoon tea with cocktails and a bottomless brunch are also available. For a party, quite literally with a twist, book in for a cocktail masterclass or enjoy their bottomless brunch. Cocktail bar, games room and generally all round stunning venue, there really isn’t any reason why Upstairs at The Joker isn’t top of everyone’s date night list. The bar is only accessible by walking through the downstairs pub, pushing open a heavy oak door and ascending upstairs. It’s almost as though you are part of an exclusive members club! 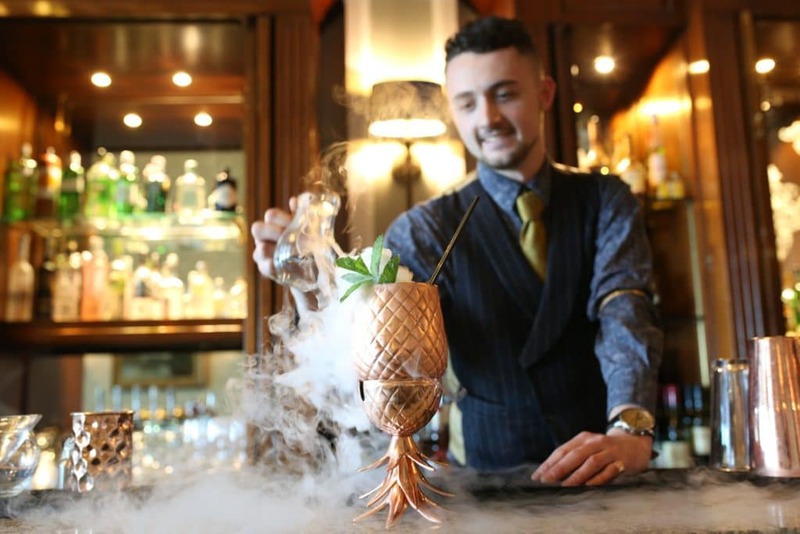 Greeted by friendly, knowledgeable but unfussy staff, the first thing that catches the eye is the opulent hand carved rosewood bar stacked high with unusual spirits and traditional glassware. Described as traditional with a twist, the cocktail list has something for everyone. Expertly curated and mixed by the professionals, choose from six house cocktails or from a list of the classics. A local jazz artist also performs here, adding to the laid back and luxurious atmosphere that oozes from this bar. 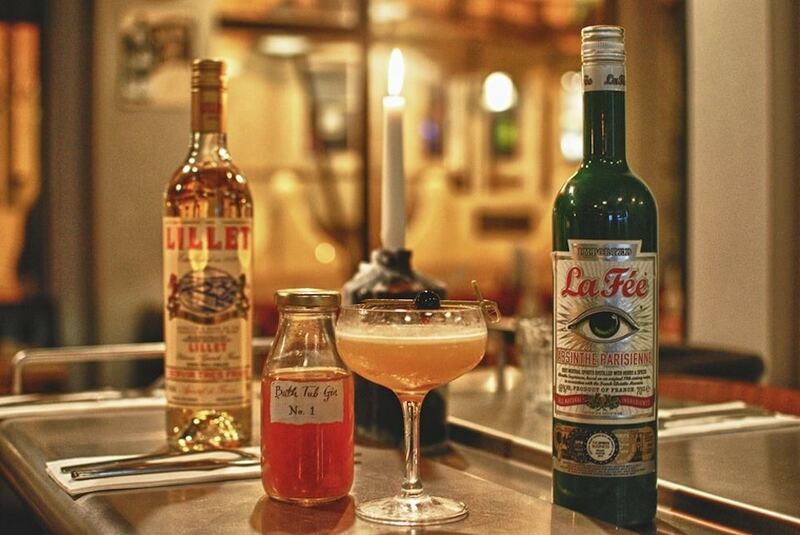 Right in the heart of Brighton’s North Laine is L’Atelier Du Vin, a 1920’s prohibition inspired, bootlegger bar. It’s low level lighting and classic jazz soundtrack create a perfectly intimate setting to enjoy a cocktail made by expert mixologists. 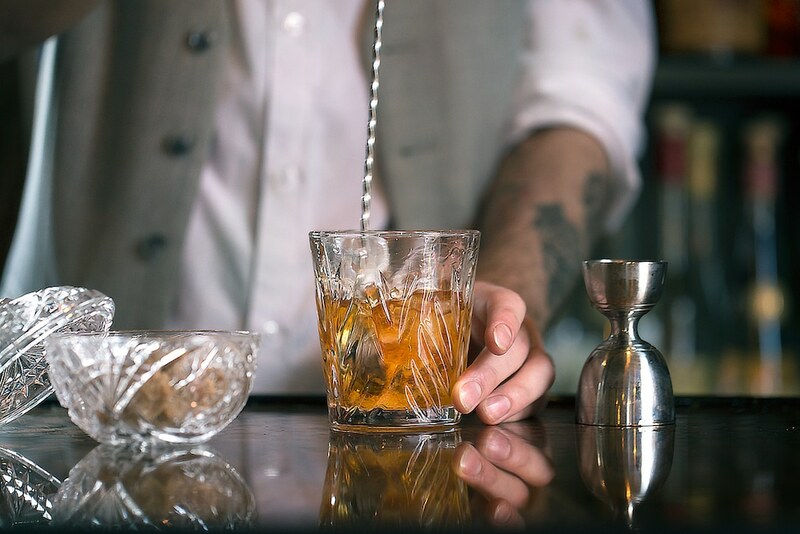 L’Atelier’s delivery of authenticity is evidenced in their menu categorising cocktails by the dates they were coined, or at least at their height of social appeal; get your Al Capone on with a 1920’s Sidecar or celebrate the end of prohibition with a 1930’s Between the Sheets. With over 300 different spirits to choose from L’Atelier Du Vin pride themselves on an enjoyment not snobbery outlook to their menu and will make to requirements ensuring everyone’s tastes are satisfied. Drink among the gods with their roof top terrace too. The Una Bar, part of award winning boutique Hotel Una, is situated in the Regency Square just behind the shopping metropolis of Churchill Square near to the i360. 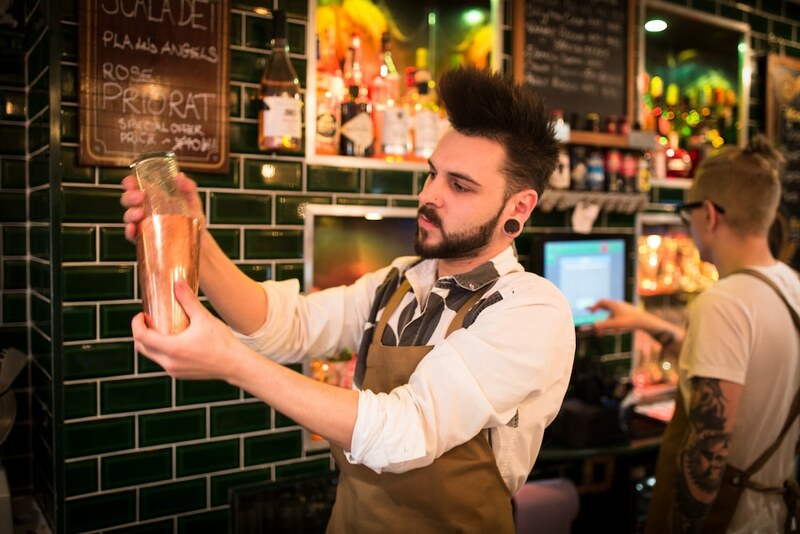 Cocktails at Una Bar are mixed to expertly developed recipes, although the team are always happy to mix to specific tastes and can even keep a record of your perfect cocktail, so that you can return to it time and again. The bar has a simple selection of quality wines available by the glass, with more available by the bottle and a careful selection of beers and ales. Una Bar is also a connoisseurs haven, with an extensive range of whiskeys and rare and unusual spirit. 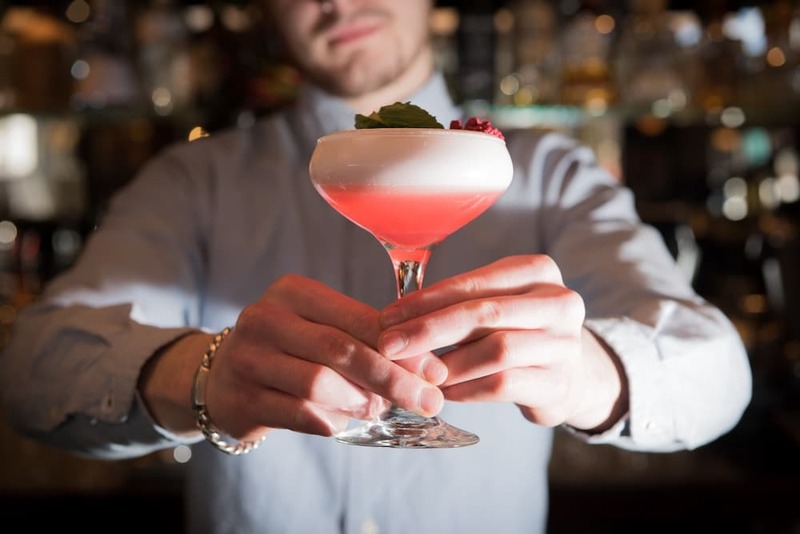 Whether you’re looking for fruity, creamy, spicy or fresh, the ‘Malchamists’ at Malmaison have all the ingredients and skill to mix you up your favourite! Using fresh and seasonal ingredients, you can expect to see new cocktails on the menu throughout the year. Enjoy the views and take in the sea breeze on the ship-shaped terrace overlooking the marina. Or for views without the sea breeze, try their conservatory with floor to ceiling glass windows while you sip on your cocktail. Gather your squad, grab a mic, and order a drink at Lucky Voice Brighton – you’re all set to enjoy your very own private karaoke room! Are you ready to enjoy your very own private karaoke room? If the answer is yes then Lucky Voice Brighton is waiting for you. Lucky Voice Brighton recently decided to completely upgrade their menu, and with a new menu comes the excitement of delicious new cocktails! The menu has been created by their talented managers Steve and Francois who have used their years of expertise to create something tempting for everyone. Now organised by taste in our menus, finding a cocktail you like has never been easier. Kujira Brighton is the newest addition to the set of bright young things rejuvenating the Preston Street area of the city. As well as serving delicious Japanese food in the Robatayaki grill restaurant, Kujira also describes itself as an ‘izakaya bar’, this is a type of informal place to go after work for drinks and a little food. Kujira offers Japanese inspired cocktails invented by their mixologist and perfected through home made botanicals, juices and syrups, adding to the area’s growing reputation as the cocktail capital of Brighton. Market Restaurant has social dining at its heart, so naturally a touch of social lubricant is more than forthcoming in the form of excellent wines, local beers and of course cocktails. The Anglo-Spanish theme permeates through to the cocktail menu, with the sherry infused Bloody Mary making for an excellent brunch or lunch time treat. Negroni’s are a focus here too, with masterclasses and paired tasting sessions making for a suitably social evening. The Mesmerist Brighton in The Lanes is a long standing favourite amongst us Brightonians. From the look of the queues that often snake outside the door here, there’s a lot of magic going on inside that party-goers are keen to be captured by, time and again. 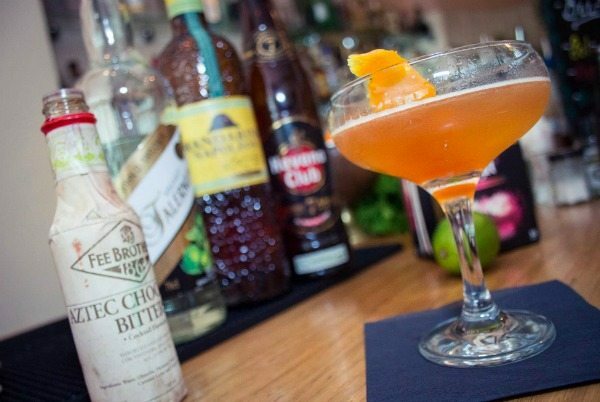 An extensive classically inspired cocktail list includes indulgent Salted Caramel Espresso Martinis and punchy Negronis, whilst the craft beer and cask ale selection available at the bar is not to be frowned upon. Ask to be guided to their hidden roof top secret garden! An iconic Brighton landmark boasting stunning Italian-influenced Victorian architecture, The Grand Hotel stands centre stage on Brighton’s seafront. Near to the cultural heart of Brighton and the famous boutique shopping of The Lanes, this luxury hotel is the perfect base from which to make the most of this exciting city by the sea. Treat yourself to a drink in the newly refurbished sunny sea-facing Victoria Lounge, Bar and Terrace, where you can enjoy sea views in opulent surroundings while sipping a show stopping cocktail with friends. 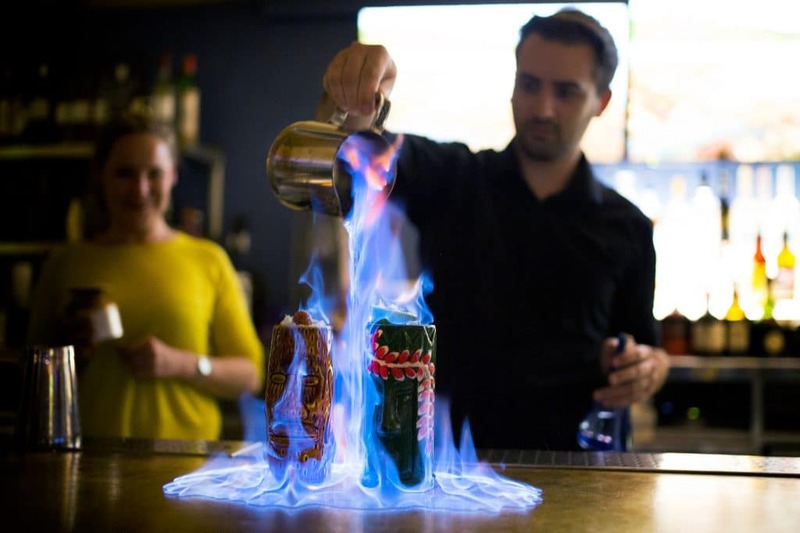 HarBAR is run by expert mixologists mixing up the freshest and most exciting cocktails to your taste! 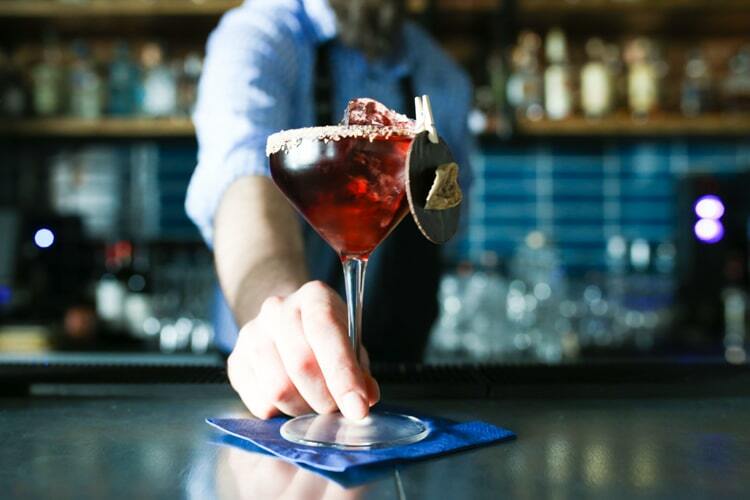 Expect old time classics such as Gin Fizz, and twists on modern favourites such as their Kentucky Espresso Martini made with Woodford Reserve Bourbon, Kahlua, Chocolate Essence & Espresso. Off the sauce? Not a problem as there are plenty of non-alcoholic cocktails to choose from, and even a selection of freshly made juices to lift you up and fill you with energy. HarBAR is part of The Jetty which makes for a great location to stop off for a few cocktails before your evening meal. Find out about the HarBAR masterclass & Jazz experience. The darkly suave 72 Lounge Bar at Third Avenue has been carefully crafted to present a feeling of effortless sophistication. It’s deep booths and low lit tables help keep the large venue feeling intimate but not crowded. Here you can sit back and enjoy the extensive drinks menu with a selection of cocktails put together with the same impeccable taste as the decor. To really complete that Manhattan members club feel there’s an additional list of whiskey based cocktails, and tasting flights of their fine whiskeys are also available. With two dining experiences and late night partying Friday and Saturday’s, Third Avenue could well be a venue you will never need to leave! Located opposite the British Airways i360, with spectacular sea views, The award winning Salt Room is a stunning modern British seafood and grill restaurant celebrating the fruits of the sea. During the summer months their seafront terrace is opened up for alfresco dining and drinking, or otherwise the modern bar welcomes guests just after a tipple. 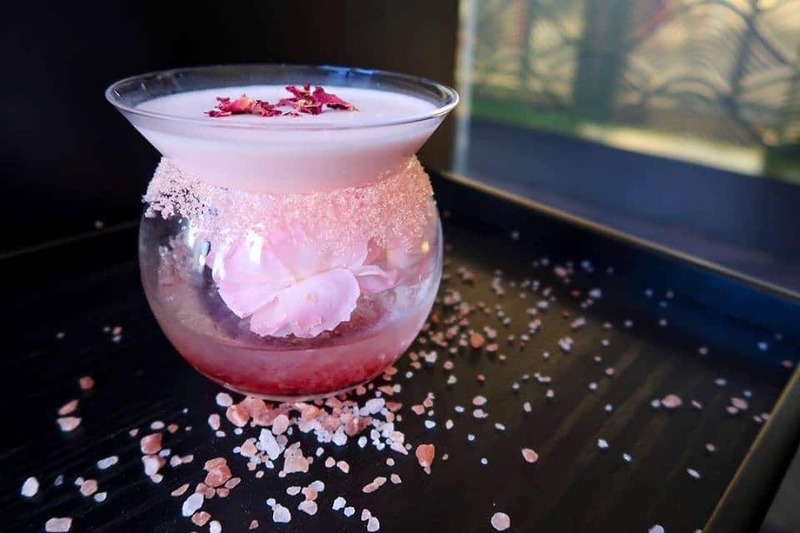 The same seasonality and innovation that is applied to the menu finds its way into the cocktails, with a selection of drinks changing through the year and with a hint of earthy herbs and sea spices sprinkled throughout. the taste of the sea is never far away. The Salt Room also offer a cocktail masterclass. At Plateau, an independent wine bar and restaurant, they like to keep it simple, quality ingredients lovingly crafted, served in a fun, friendly environment where music is a passion, not an afterthought. The boffins at Plateau put a great deal of effort into compiling a wine list focussing on organic, biodynamic and, above all, natural wines. Their wine list changes weekly and they host regular wine tasting events and discussions. 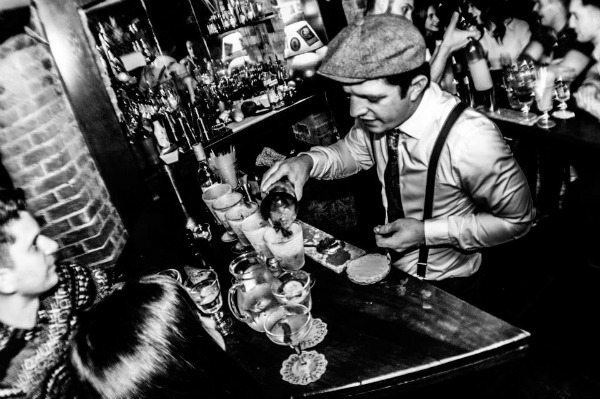 They have a strong, passionate team of bartenders on hand to mix up a fine selection of classic cocktails. Believing that quality ingredients make quality cocktails, they use only the very best. Sister venue to the equally reputable Mange Tout. Since opening in 2013 The New Club has established itself as a super-cool go-to destination for New York style eating and drinking. Pitched in an art deco building, the fantastic views over the crumbling West Pier are mirrored in the New York urban decay depicted in artwork by NY photographer, Vivian Gucwa. 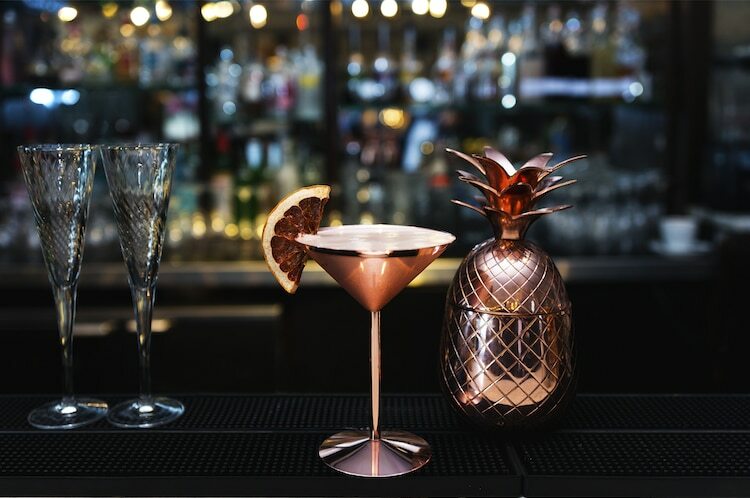 Cocktails are a play on strong classics to bring out some original edgy twists, lots of house infused spirits help establish The New Club with their very own brand of cocktail. Just yards from the seafront in The Lanes is a jumble of quirky gothic-style buildings. This is the Hotel Du Vin, where you can enjoy a tipple alfresco style in the vine-covered pergola or sink into a leather armchair in the bar or lounge. With over 100 whiskies and rums to choose from, a legendary wine cellar and a range of delicious cocktails, anything goes. 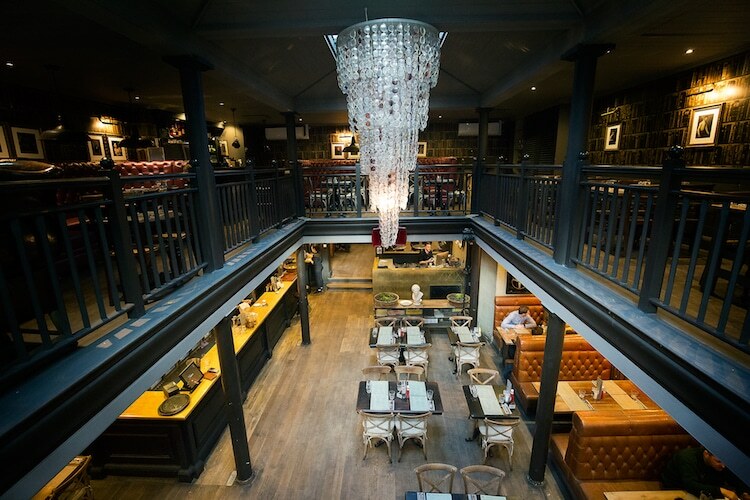 Hotel du Vin hosts monthly wine tasting events, each with a different theme. 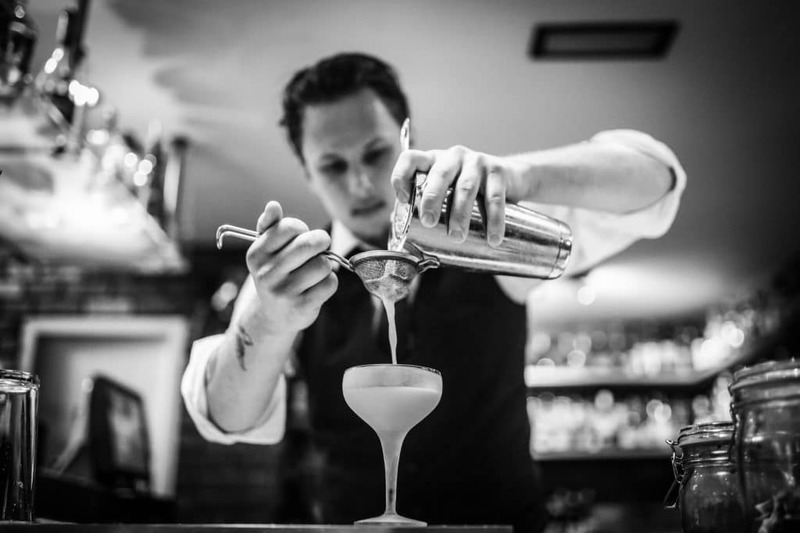 If cocktails are more your scene, why not try one of their masterclasses where you can learn how to make a selection of cocktails with their expert mixologist. Priding itself on delicious wine and exotic cocktails, the bar at The Old Ship Hotel is the perfect spot for a little alfresco drinking in the summer time. The cocktail offering is nicely paired with the location, with a leaning to the fun side and a preference for fruity fresh flavours. Located right on the seafront the views are ideal for a sunny day, a cool long drink, and a bit of people watching. If you fancy a bite to eat, you can choose from the bar menu for a light bite or snack, alternatively you can move onto their fine dining restaurant. 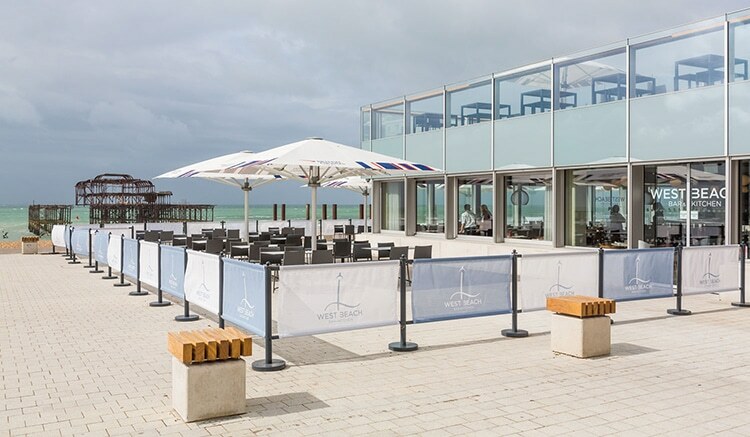 If your mission is to find a great bar to sample some delicious cocktails, then the West Beach Bar & Kitchen at the base of the British Airways i360 should be on your tick list. 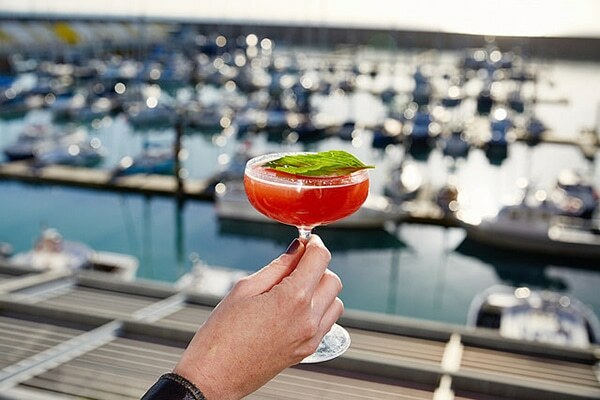 There’s large cocktail menu featuring many classics along with plenty of the West Beach Bar’s specialities, all taking inspiration from the vibrant city of Brighton. 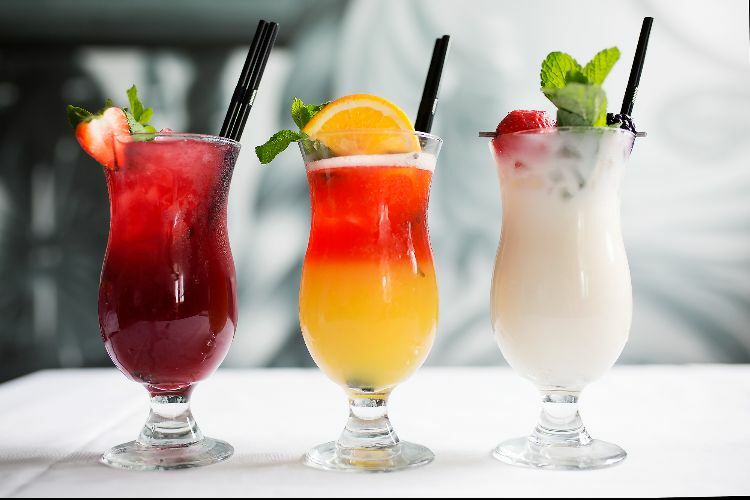 Prices range from £7.95 – £9.50 and there are plenty of mocktails to choose from if you’re off the booze. Head to West Beach Bar & Kitchen for a premium cocktail experience with spectacular views! Drakes has earned itself a well-deserved reputation as a boutique hotel of distinction, with consistently excellent fine dining. It also boasts a slick bar complete with statement black granite bar top and unbeatable sea views. An intimate stylish space where you can kick back with friends and enjoy artisan cocktails and an impressive selection of fine wines, champagnes and craft beers. With one of the most comprehensive ranges of premium whiskies and cognacs in the city, why not try a flight? It’s a great way to really appreciate the differences between blends, regional varieties and ageing processes. Silo is Brighton’s multi-award winning zero waste restaurant. Loved by critics and by diners it has quickly become the choice for people looking for amazing food in a relaxed setting. Silo has recently undergone a refurbishment, introducing a new bar fully equipped to bring visionary cocktails to life, and marks the new wave of the restaurants influence on Brighton’s food and drink scene. The new menu features 5 cocktails, including The Knotweed Martini and The Pickled Pink. 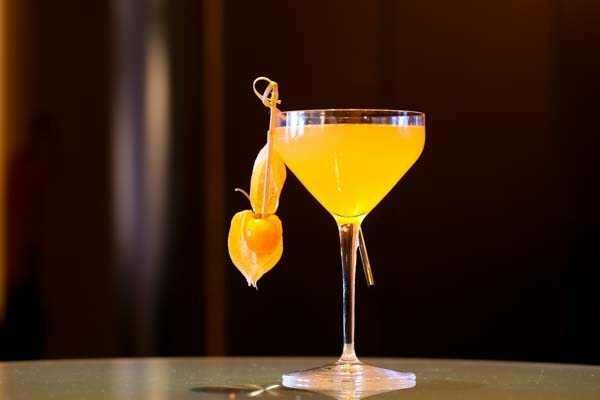 The cocktails follow the ethos of the restaurant, with mixologists using fresh ingredients that may otherwise have been wasted. Take The Knotweed Martini for example – this has been baptised with Silo’s favourite rebel plant. Knotweed forces its way through concrete and terrorises gardeners, yet it’s as delicious versatile as it is invasive. 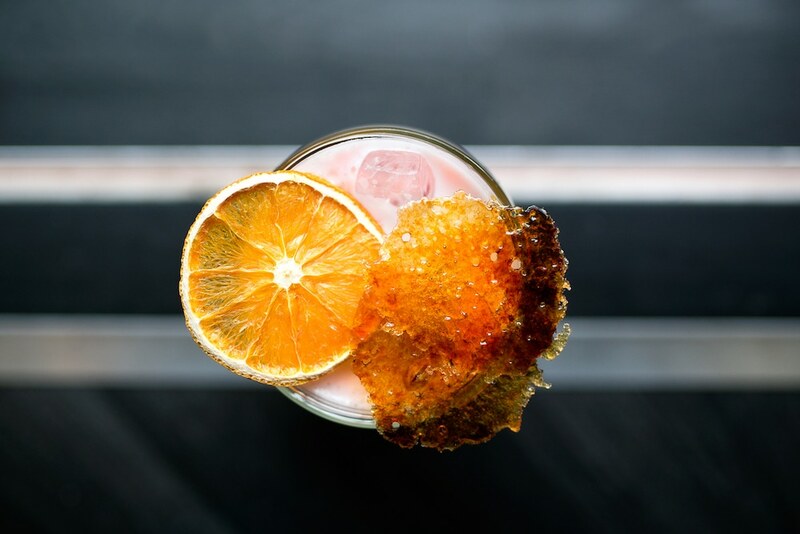 The cocktail is a true Silo twist on a classic. If you’d like a different eating and drinking experience then Silo is worth a visit. 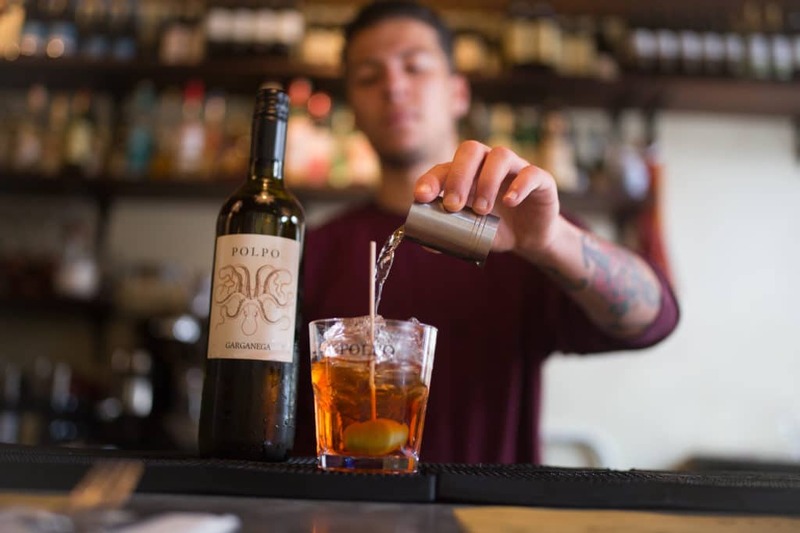 Award winning Polpo is inspired by the Venetian bàcaro, humble bars serving good, young Italian wines and simple sharing plates. 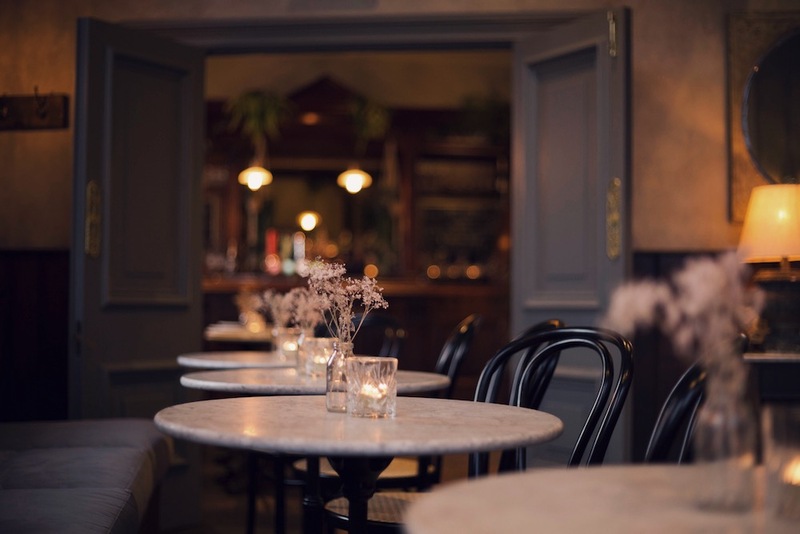 Located on a pretty pedestrianised street in the centre of Brighton, the restaurant is conveniently near to the Brighton Dome and the Theatre Royal, perfect for enjoying a well mixed Italian classic spritz cocktail with some tasty Venetian finger-food before heading off for a show. 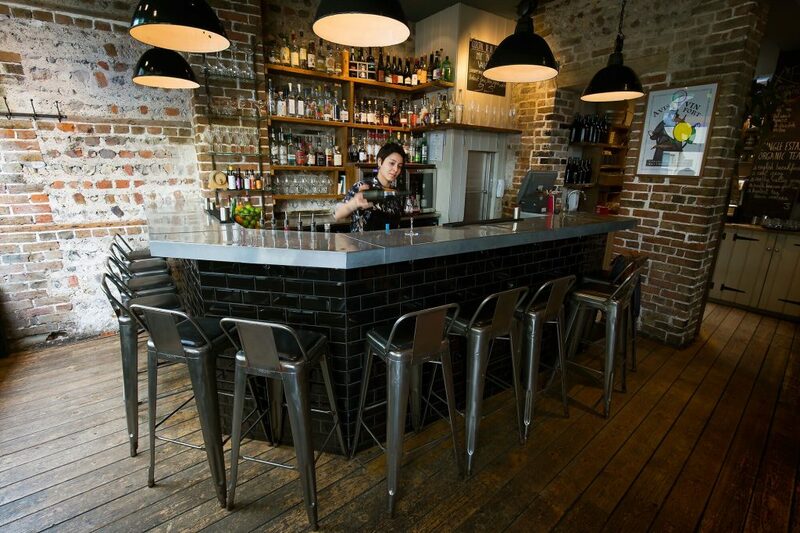 Voted best place for a drink (winner and third place) at the Brighton Restaurant Awards. In the heart of Brighton’s buzzing North Laine, you’ll find My Hotel Brighton. The hotel’s wacky futuristic theme transports you off world and continues in their swanky Merkaba bar, where you can celebrate life with an artisan cocktail. 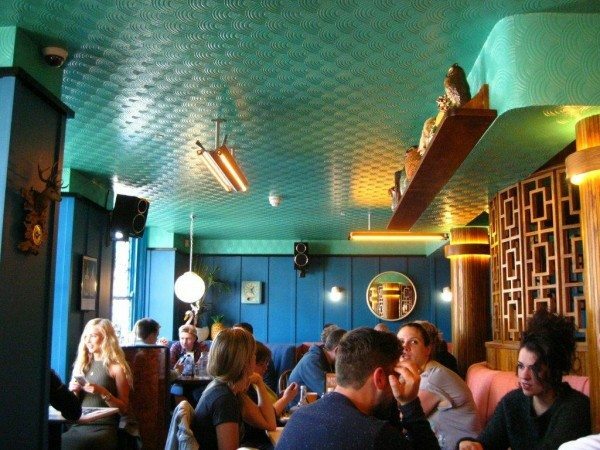 The tantalising menu has a huge range, including Asian, bohemian, Brighton, American and tiki inspired cocktails. They love to host a party, so if you’re after a night to remember, why not try one of their cocktail packages. Or you could take part in a fun cocktail masterclass where you’ll receive expert tuition from experienced cocktail bartenders. Music is provided by Top local DJ’s every weekend. Food For Friends treats its cocktail menu to the same ethos as it’s award winning food, bringing seasonal inspiration and local produce to your lips throughout the year. With a mixture of traditional classics revamps and innovations there’s a tipple for everyone. Situated in the Lanes, the stylish modern decor provides the perfect setting for a cocktail and a spot of people watching. Why not try Food For Friend’s alternative to an afternoon tea and add any of the deserts off the menu to your cocktail of choice. One of Brighton’s most well known pubs, The Black Lion, is situated in the heart of The Lanes just near the seafront on Black Lion Street. Not only does The Black Lion have a good reputation for a music filled night out, it’s amazing food is also the attraction to many people. 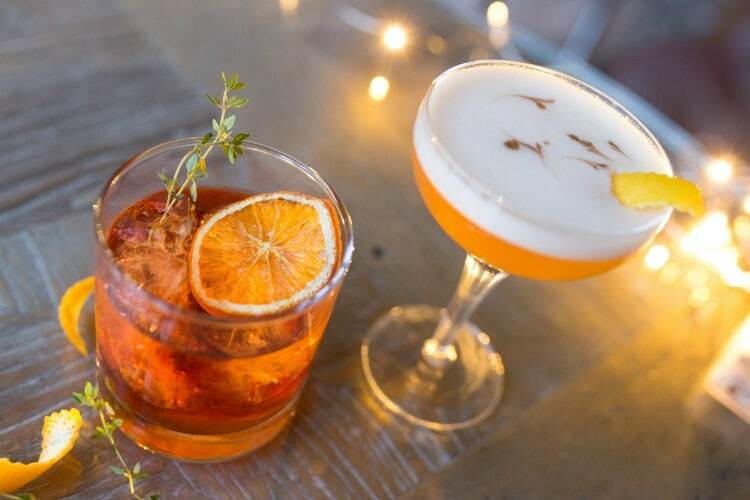 It’s the go-to place for great tasting, affordable cocktails, with an extensive list made from quality ingredients and seasonally changing creations. There’s something for everyone! Look out for their regular cocktail offers. 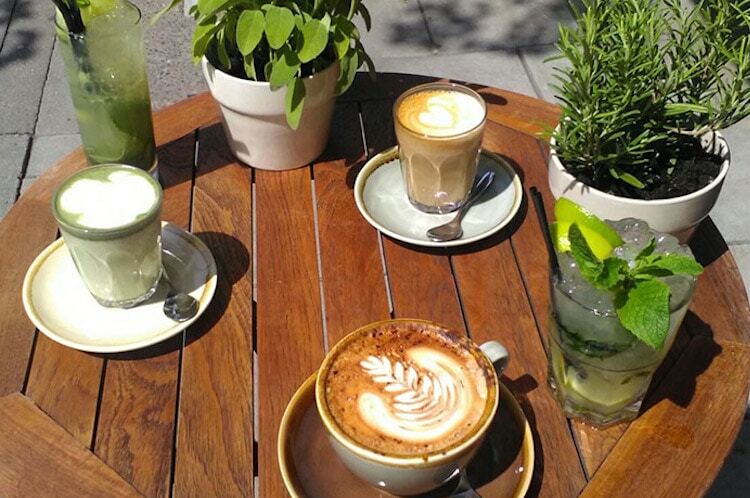 London’s successful Breakfast Club dining experience has ventured into Brighton’s Lanes after much anticipation. The Breakfast Club have brought a bit of Miami Vice and Art Deco to Brighton. Painted bright yellow with baby blue seats outside, it’s hard to miss! 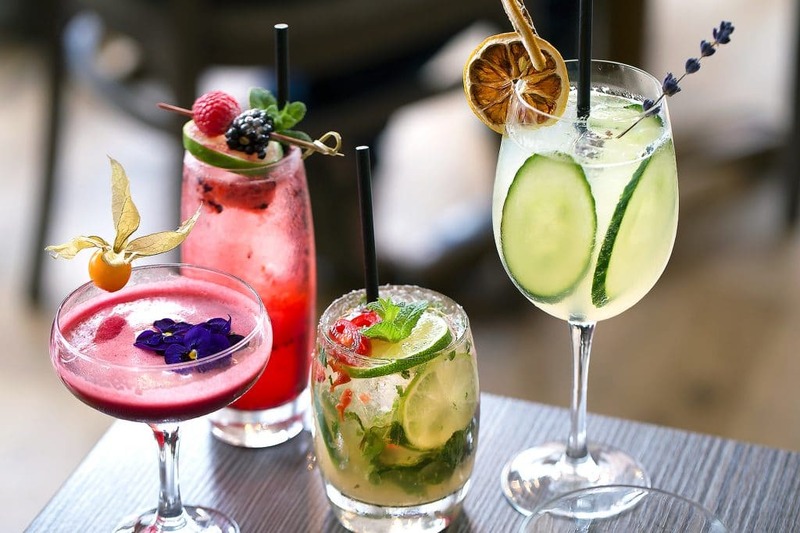 With an extensive menu featuring American dishes their cocktails are all priced at a reasonable £7, you can expect some cocktail classics with a twist such as their Honey Mojito. With alfresco dining, you can enjoy your cocktail in some sun in the Summer, their Aperol Spritz would go down a treat, or relax inside in their bright and cool restaurant. 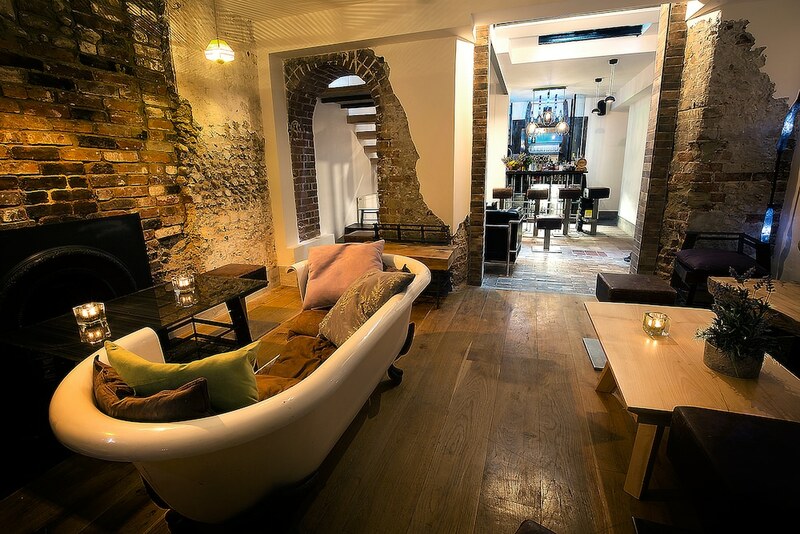 No 32, in the heart of Brighton, brings you everything you need for a night on the town in a single venue. Eat, drink and dance is their motto at this vibrant restaurant, bar and nightclub. The bar serves wines originating from five different continents, as well as craft ales and draught beers. Also on offer is a fantastic selection of cocktails including everything from Classic & Elegant through Rich & Sweet to Long & Refreshing. Their resident DJ provides regular music every Friday and Saturday and happy hour runs 4 – 7pm, Monday to Friday with selected cocktails at 2 for £10. Located in Brighton’s historic Lanes. 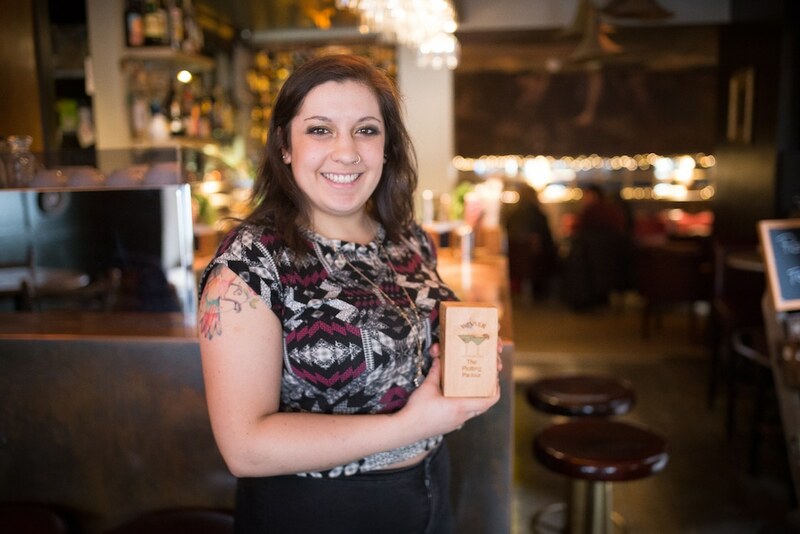 Winner of the best cocktail bar in 2018 at the Brighton Restaurant Awards. 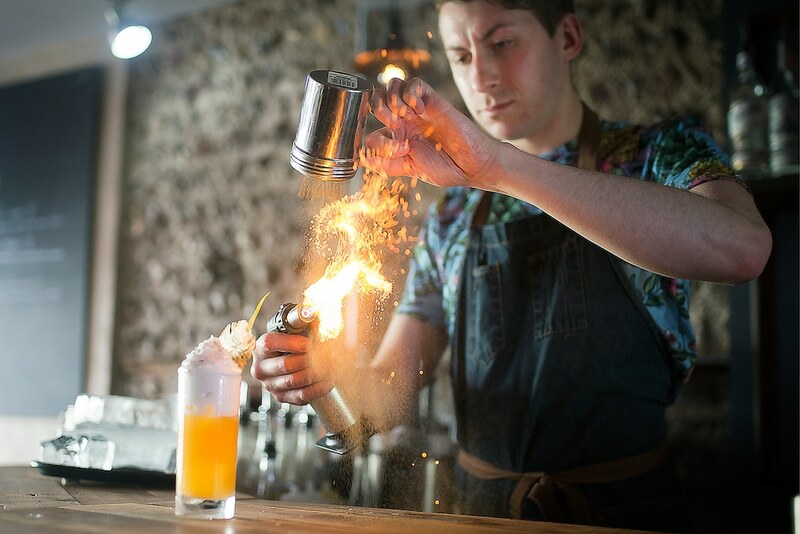 Nestled in a side street just off the Old Steine and Kemptown Their success is built on an exceptional cocktail list created by some of the most talented mixologists in Brighton, including Manager, Luke Loddo. 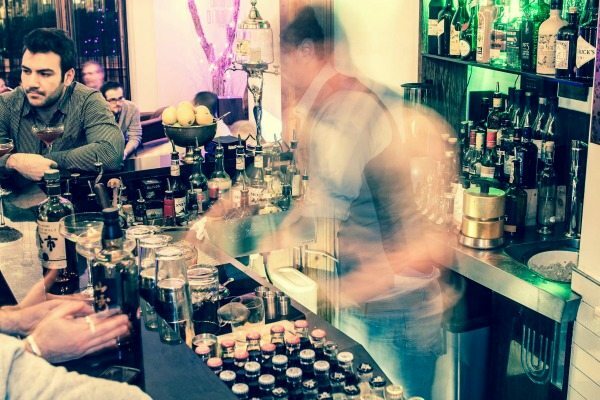 With more awards such as ‘Best New Bar‘ at the Brighton Bartender awards rolling in it’s no wonder you’re advised to book a table, and yes you heard us right – you can book in, rock up and enjoy table service all night long – no more jostling at the bar. Bliss. Hidden amongst the jewellers in Brighton’s historic Lanes lies the second son of the BYOC family and a gateway to a “Narnia of cocktails”. As well as the antique furnishings and 1920’s décor, BYOC Brighton boasts a fully functioning pipe organ, a cinema screening silent classics and a private snooker room kitted out with a full size snooker table. BYOC offers a unique interactive drinking experience. Simply bring a bottle of your favourite spirit and enjoy individually tailored cocktails designed just for you, using a range of BYOC’s signature homemade ingredients. No two trips to BYOC are ever the same. Hotel Una is a family run boutique hotel, in the beautiful Regency Square in Brighton, where they take genuine pride in providing great service without being stuffy. Named after the river Una and with rooms named after the rivers of the world, the hotel boasts individual but unpretentious interiors, balanced soft colours and a homely atmosphere, to create a space to exist in harmony. 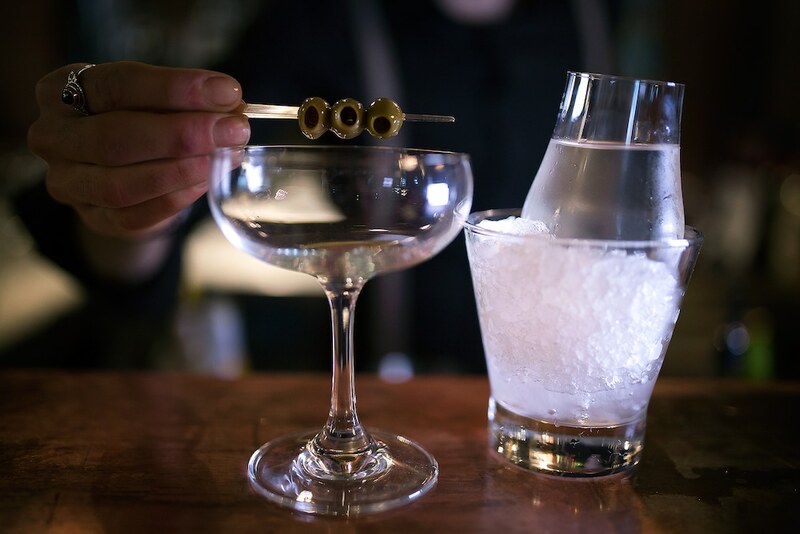 As well as a discerning list of champagne and wine, the in-house bar offers a distinctive menu of classic and homemade cocktails using recipes inspired by century old accounts, brought back to life using homemade bitters, tonics, foams and macerations. A worthy mention in our ‘Cocktail Bars Brighton’ listing. 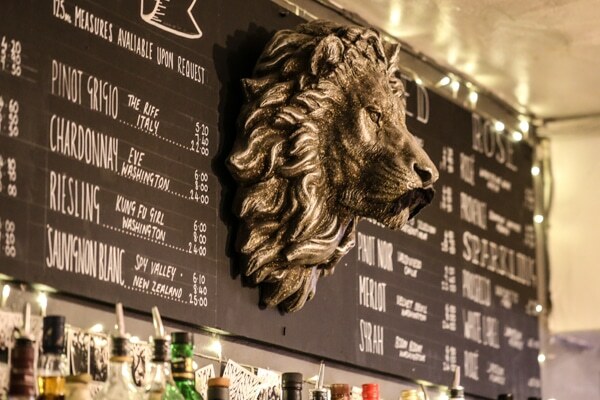 The Black Dove on St James’s Street is a laid-back hostelry with quirky décor and basement DJs. 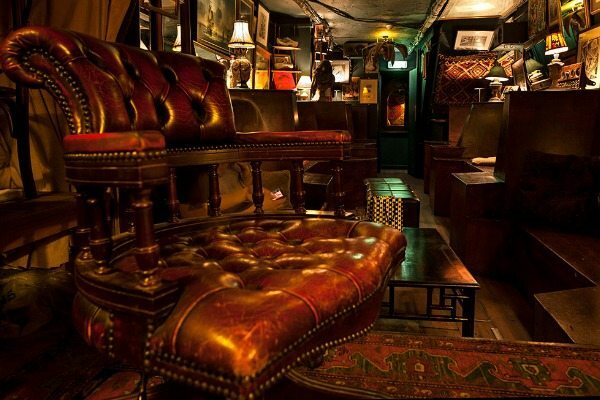 The ideal place to lubricate tired vocal chords and soothe worn out limbs in eclectic and sumptuous surroundings. The stereo plays a healthy rotation of be-bop, Jamaican ska, cool jazz, delta blues, afrocentric, 30s/40s/50s vocal greats and contemporary beat music. They also have live rhythm & blues and folk performances throughout the week, as well as regular themed music nights. They offer a plethora of award-winning ciders, over 70 different beers, professionally-made cocktails, a 100% organic wine list and bar snacks to keep the munchies at bay. Hidden away at the top of Western Road is the long serving Koba. Serving botanical cocktails prepared with fresh fruit juices, herbs and spices, the natural flavours are paired expertly with quality spirits. 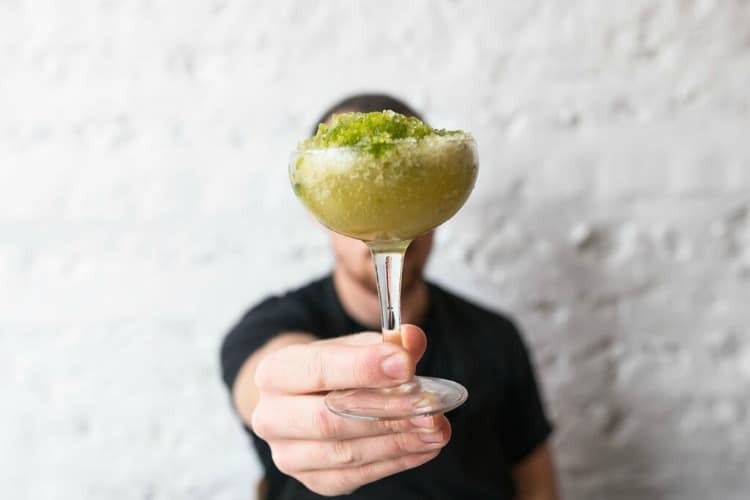 As well as an extensive menu of classics, staples and house twists, Koba offer up a cocktail of the week, which is often on the more adventurous side, but well worth a try none the less. Not just a cocktail bar, Koba have gathered a host of much loved Brighton producers to provide them with excellent teas, coffees and cakes making this tucked away gem a storehouse of delights.